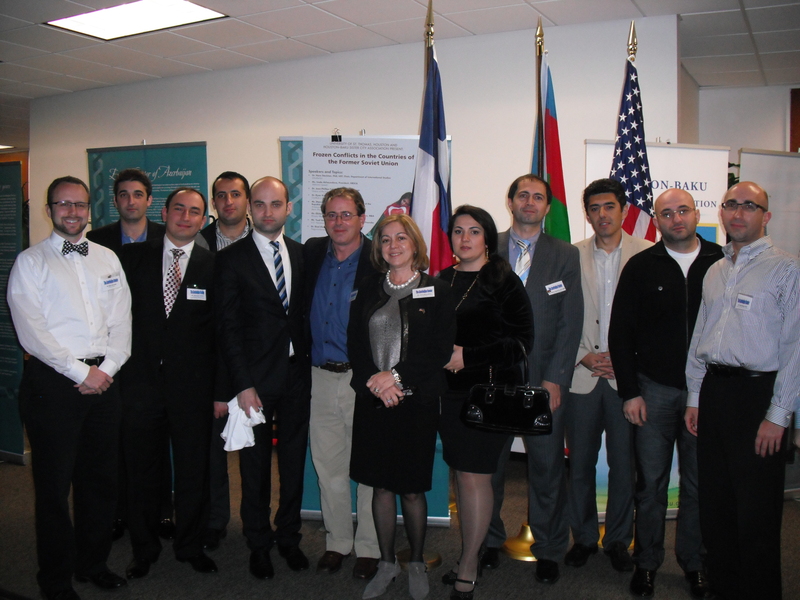 On February 25th, 2013, the Azerbaijan Center along with the Houston Baku Sister City Association and in cooperation with the University of St. Thomas, Houston, was proud to hold the first in a number of historical and education lectures. 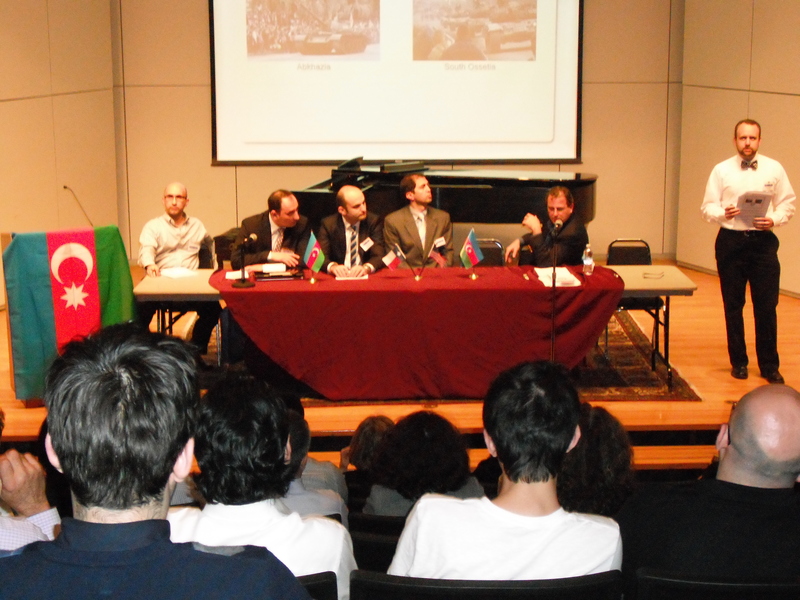 Titled: “Frozen Conflicts in the Countries of the Former Soviet Union”, the lecture consisted of a panel of guest speakers who shared their wealth of knowledge with the audience. We were proud to have with us Dr. Hans Stockton, professor at the University of St. Thomas, who was kind enough to host us; Ms. Irada Akhoundova, president of the Houston Baku Sister City Association; Dr. Jean-Phillipe Faletta, professor of political science at the University of St. Thomas; Dr. Ryan Kennedy, professor of political science at the University of Houston; Mr. Mammad Talibov, Counselor of the Embassy of the Republic of Azerbaijan to the United States; Mr. Elkhan Agamirza, scholar of international relations; Mr. Yusif Babanly, co-founder and director of the US-Azeri network; and Dr. Riad Efendi, director of the HBSCA. 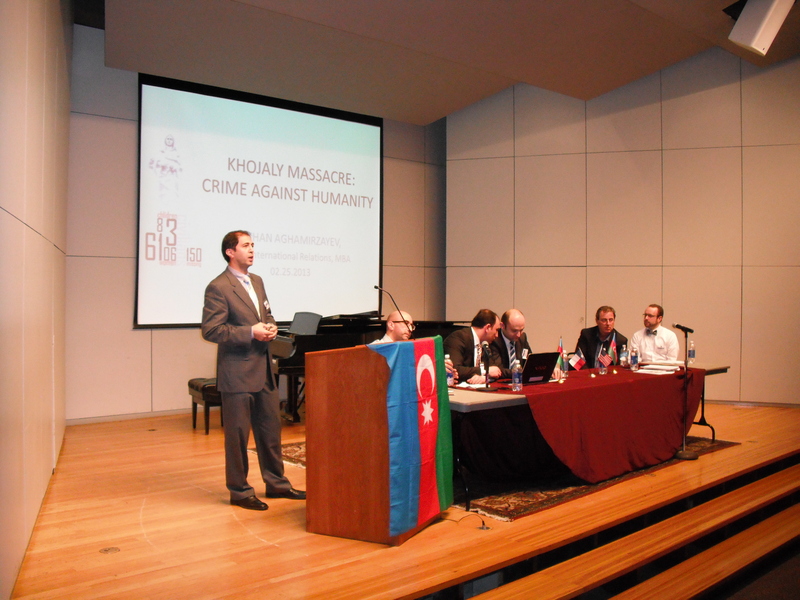 In addition to our distinguished guest speakers, we were also pleased to be recognized by a number of elected officials, who sent proclamations and resolutions in recognition of Khojaly. We were thankful to have Ms. Aquanita McClaney from Texas State Senator Rodney Ellis’s office who presented a proclamation on behalf of the Texas State Senate. In addition to Senator Ellis’s proclamation, we were proud to receive proclamations from Congresswoman Sheila Jackson Lee, Texas State Representative Gene Wu, Mayor Pro-Tem Edward Gonzalez and a resolution for the congressional record on behalf of the office of Congressman Gene Green.